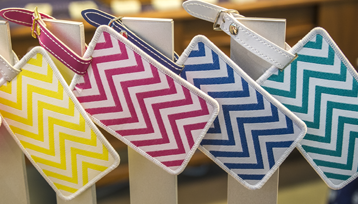 Premium quality woven coloured bag tags designed not to fade or tear. Available in a range of bold colours. 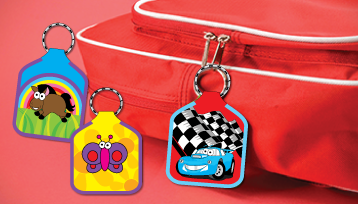 Durable woven bag tags guaranteed not to fade or tear. Available in a range of cute classical designs perfect for childcare and school. 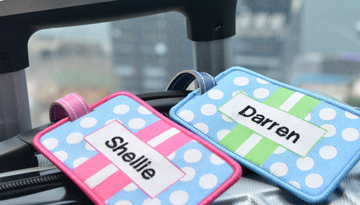 Never will your child’s school bag or sports bag be mistaken for someone else’s when you order our fun specially woven, personalised bag tags from Cash’s Name Tapes. 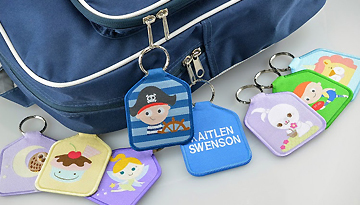 Australian made and available in a range of sizes and styles, our range of custom school bag tags include animated, fairy and patterned designs that will suit kids of all ages. Browse and order from our great range of personalised bag tags and practical label packs online with us today and enjoy Australia wide delivery! Bag Tag orders will be dispatched in 3-5 working days.